Meredith Hughes, assistant professor of astronomy, assistant professor of integrative sciences, has been named a Cottrell Scholar for 2018 by the Research Corporation for Science Advancement (RCSA). Hughes is one of two dozen early career academic scientists to receive this honor, which comes with a $100,000 award for research and teaching. 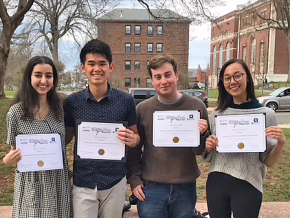 “The Cottrell Scholar (CS) program champions the very best early career teacher-scholars in chemistry, physics and astronomy by providing these significant discretionary awards,” said RCSA President and CEO Daniel Linzer. Meredith Hughes, assistant professor of astronomy, is the co-author of “Debris Disks in the Scorpius-Centaurus OB Association Resolved by Alma,” published in The Astrophysical Journal, Vo. 828, No. 1. Jesse Lieman-Sifry ’15 also is a co-author of the article. In addition, the international weekly journal of science Nature mentioned the article in a Sept. 8 publication. Hughes used the “Atacama Large Millimeter/submillimeter Array in northern Chile to probe the regions around 24 young star systems, only about 5 million to 10 million years old. They chose stars surrounded by a disk of dust debris—resembling a scaled-up version of the Solar System’s Kuiper belt—this leftover material could form new planets, including gas giants. In conclusion, the researchers noted that three of the larger stars in the sample had strong carbon monoxide emissions. Scientists are now probing how, where, and when planets form and are analyzing the links between planetary system architecture and the properties of the parent circumstellar disk. Though the relationship of planetary to stellar masses remains obscure, it is clear that most stars host planets. This symposium describes the state-of-the-art radio-wavelength observing campaigns astronomers are using to probe planet formation and samples new scientific results that radio telescopes are yielding. After planetary systems form, small bodies analogous to Kuiper Belt Objects collide and produce dusty debris that can be seen around distant stars with radio interferometers. The structure of such debris disks is intimately connected with the dynamics of young planetary systems. In his presentation, Flaherty will describe how recent spectacular Atacama Large Millimeter/submillimeter Array observations of debris disks are revealing the properties of emerging planetary systems and the processes by which they form and evolve. 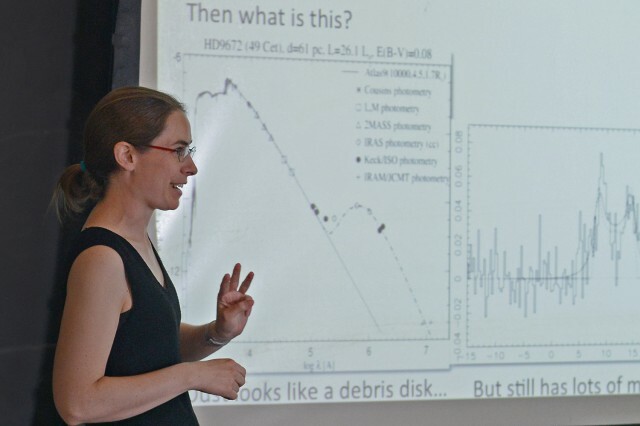 For her outstanding contributions to Milky Way research by observational methods, Meredith Hughes, assistant professor of astronomy, received the 2015 Bok Prize in Astronomy from Harvard University. The prize, named in honor of Astronomer Bart Bok (1906–1983), is awarded to a recent holder of a PhD degree in the physical sciences from Harvard or Radcliffe who is under 35 years of age. Hughes received her PhD from Harvard in 2010, and a MA in astronomy from Harvard in 2007. Hughes is an expert on planet formation, circumstellar disk structure and dynamics, gas and dust disk evolution and radio astronomy. She studies planet formation by observing the gas and dust in the disks around young stars, mostly using (sub)millimeter interferometers. 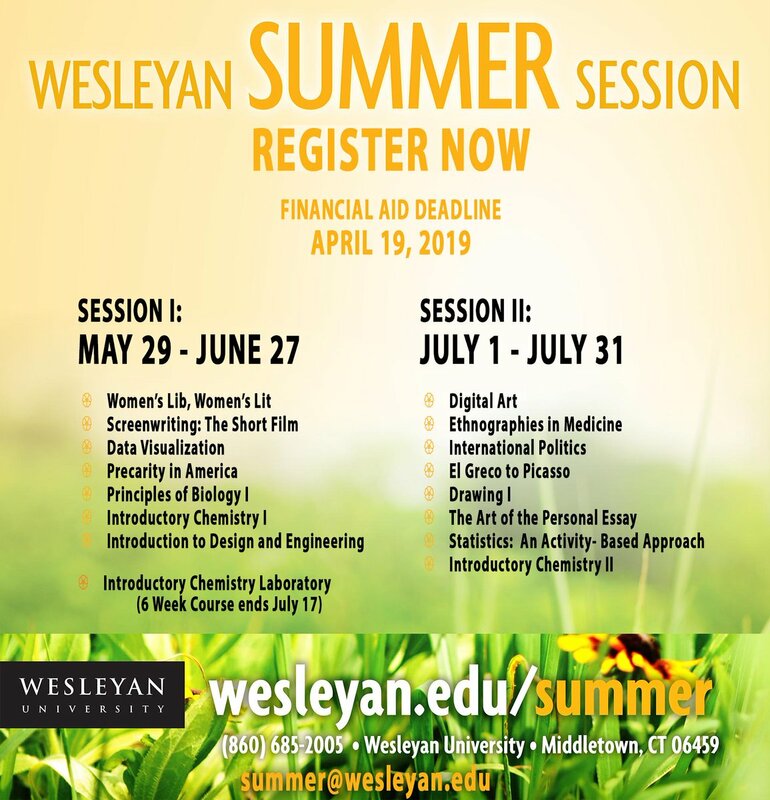 At Wesleyan, she teaches the courses Observational Astronomy, Radio Astronomy, Introductory Astronomy and Pedagogy Seminar. She’s also the 2015 faculty advisor for the Wesleyan Women in Science organization (WesWIS) and serves on the American Astronomical Society Committee for the Status of Women in Astronomy and acts as the liaison between CSWA and the Working Group on LGBTIQ Equality. 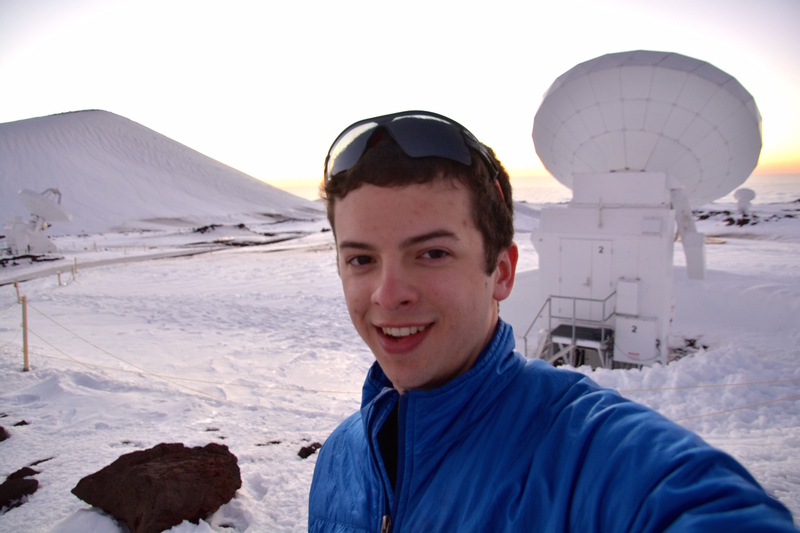 Sam Factor, a graduate student in astronomy, at the Submillimeter Array, located on Mauna Kea in Hawai’i in March 2015. 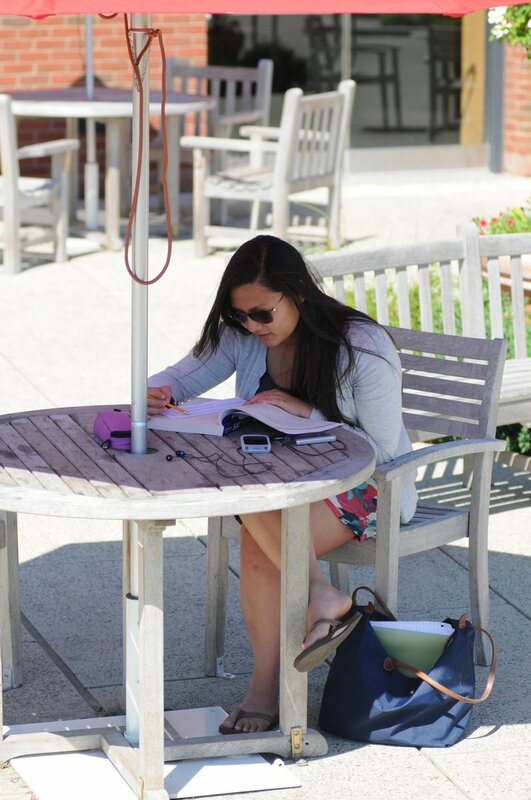 In this News @ Wesleyan story, we speak with Sam Factor ’14, a graduate student in astronomy. Q: Sam, congratulations on completing your master’s thesis in astronomy! We understand you took your first astronomy class in the fall of your senior year at Wesleyan. What was your undergraduate major and how did your late-developing interest in astronomy come about? A: Thank you very much! As an undergrad, I majored in physics and computer science. During the fall of my senior year I took Introductory Astronomy (ASTR 155). I signed up for the course mainly because I wanted an interesting and relatively easy course to fill out my schedule. I had been interested in astronomy since I was very young, but had never taken a formal class. 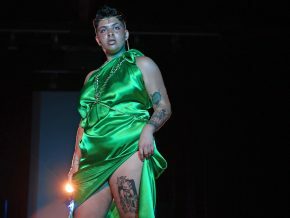 I absolutely loved the class and decided to apply to the BA/MA program. 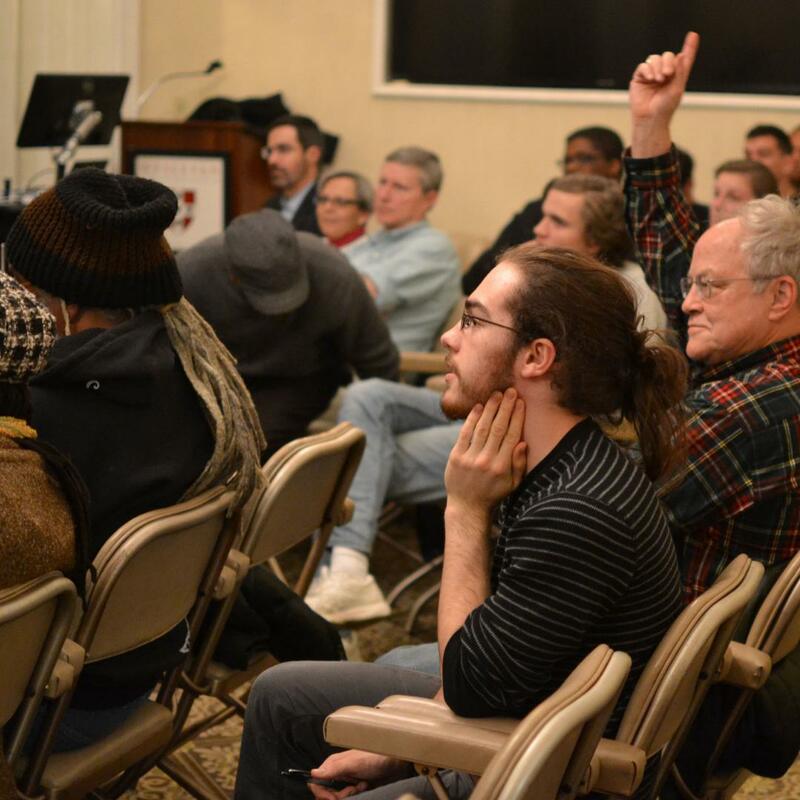 Q: How and when did you decide to stay on at Wesleyan to pursue a master’s degree in astronomy? A: I actually decided to apply to the BA/MA program only a few weeks before the application was due! Assistant professor of Astronomy Meredith Hughes and eight colleagues have found evidence of magnetic fields in stardust – an indication that magnetic fields are important in the process of planetary system formation, according to a new paper in the journal Nature. The discovery is another step in work by Hughes and other astronomers to understand how celestial bodies are formed. It is known that magnetic fields in the “accretion disks” of stars play a dominant role in the star formation process. Using data from an observatory near Bishop, Calf., Hughes and her colleagues were able to spot signs of magnetic fields in the dust of the disk of a star about 300 light years away. While magnetic fields have been detected in regions that represent the very earliest stages of star formation (the so-called Class 0 and Class I stages), this is the first time they have been seen around a star with an older age closer to when we believe planetary systems form. The paper, “Spatially resolved magnetic field structure in the disk of a T Tauri star,” was published Oct. 22. Nature is the world’s most highly-cited interdisciplinary science publication. 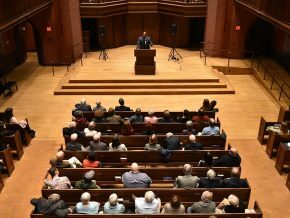 The 145-year-old journal is published weekly. 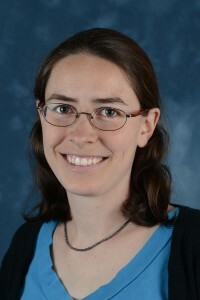 Meredith Hughes, assistant professor of astronomy, is the co-author of a paper titled “Molecular Gas Clumps from the Destruction of Icy Bodies in the β Pictoris Debris Disk,” published in the journal Science on March 6. 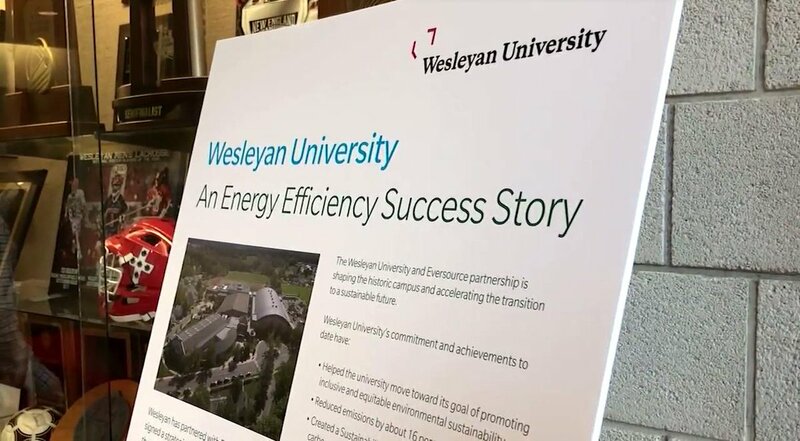 Read more about Hughes study in this Wesleyan Connection article. 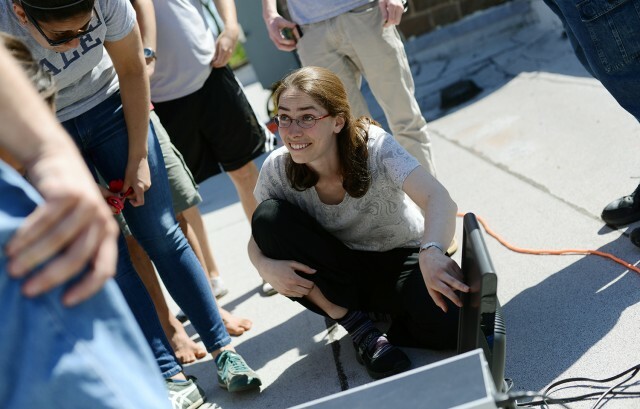 Meredith Hughes, assistant professor of astronomy, works with students on a small radio telescope, located on the roof of the Van Vleck Observatory. A curious mix of dust and gas surrounding a distant star presents a unique mystery – and possibly a front-row seat to planet formation, according to Assistant Professor of Astronomy Meredith Hughes and colleagues, whose paper on the star appears in the March 6 edition of the journal Science. The group of astronomers, including Hughes and 13 others, were the first to identify the asymmetry and “lumpy” quality of the gas surrounding beta Pictoris, using data from the Atacama Large Millimeter/Submillimeter Array (ALMA) in Chile. The discovery leads to two possible explanations: There may be a giant “exoplanet” lurking nearby (forcing clumps of carbon dioxide to orbit the star on opposite sides) or there has recently been a collision between two Mars-sized bodies. More data must be analyzed to figure out which event happened. “We actually already knew that there was gas around this star, but we didn’t know how much, or that the gas would be lumpy and asymmetric – the asymmetry is another indication that the gas was probably generated by a recent collision,” explained Hughes. Beta Pictoris, which is actually a stellar neighbor of Earth, about 60 light years away, is in an active place for planet formation, Hughes said. And the evidence discussed in the Science paper points toward very recent (on astronomical timescales – in this case probably thousands of years) events. 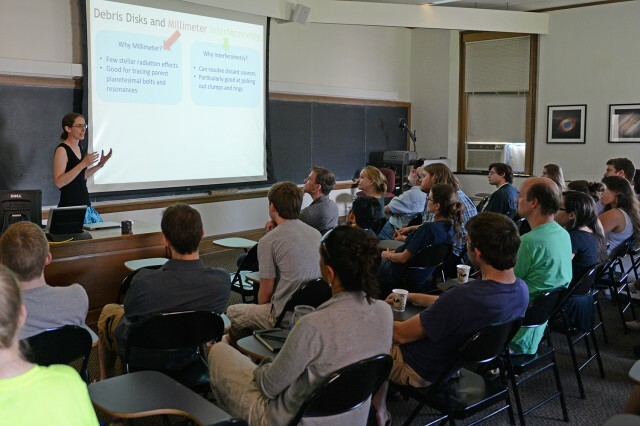 On June 21, the Department of Astronomy hosted Connecticut Exoplanet Picnic and meeting, which brought together exoplanet practitioners from Wesleyan and Yale University. 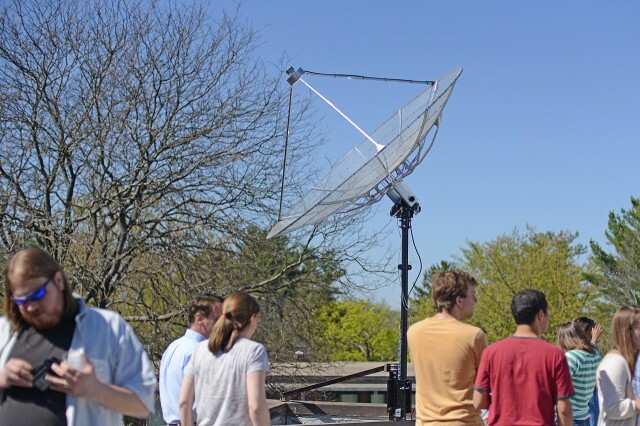 Astronomy students and faculty celebrated the new small radio telescope (SRT) on May 1 during a ribbon-cutting ceremony. The SRT has a motorized arm that can position the dish to face any part of the sky. Quasars, pulsars, and the afterglow of the Big Bang have all been discoveries of radio astronomy. When graduate student Amy Steele settled into her seat the first day of an upper-level Radio Astronomy course last January she was anticipating a rigorous four-month exploration of the discipline. The instructor, Meredith Hughes, who had just joined the Astronomy Department as an assistant professor, came with strong credentials in radio astronomy. Steele was excited. After completing her undergraduate work at Williams College, she had taken four years off to work as the astronomy lab supervisor at the University of Texas at Arlington. 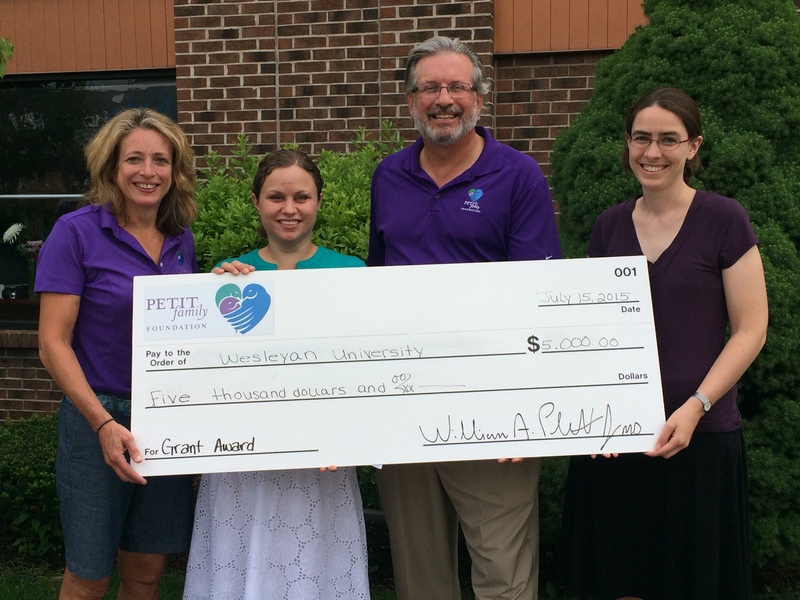 Last fall she enrolled as a graduate student at Wesleyan. 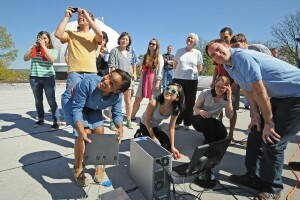 Classmates, with the help of Astronomy Department faculty, used the new device to detect the sun. What neither Steele nor any of her fellow students was expecting was the opportunity to actually construct a radio telescope. But that was the task Hughes laid out for them after she had reviewed the course syllabus. 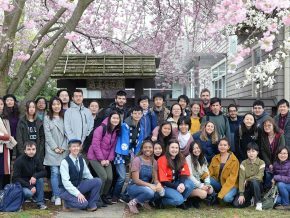 Following design specifications for a small radio telescope (SRT) developed by Alan Rogers at MIT’s Haystack Observatory, the students would not only create a functional radio telescope, they would do so by the end of the semester. The project was made all the more challenging by the fact that there was no kit for the device. “Haystack used to sell SRT kits,” Hughes explained. “Dozens of them were built and many are still in use. But as electronics improved, the original kits became obsolete. Just last summer Alan Rogers retooled the telescope design and they decided to stop producing kits and just publish the plans. Hughes divided her class into three teams, each of which was responsible for a different part of the telescope. Each team would work separately, acquiring and assembling the components for its part of the telescope, but they would also interact.